We planted wispy, dreamy Clematis vitalba seeds today. You may know this wild clematis as Old Man’s Beard or Traveller’s Joy. It seems fitting that these were the first seeds we planted for the Bach Flower Remedy Garden, since clematis was one of the first three plants that Dr Bach used for his Bach Flower Remedies. Clematis vitalba can be difficult to propagate and may take 9 months to germinate at 20C according to Plants for a Future. We’re going to see how these seedlings do on the heated mat in the lean-to where they’ll get direct sun through the glass panels on the roof. 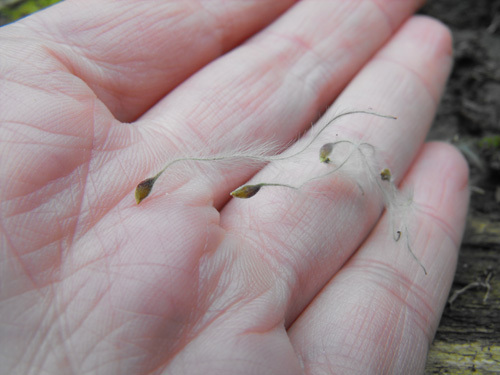 The seeds tell us something about how Clematis flower remedy works. Soft, fluffy and dreamlike this is the remedy for people whose heads are in the clouds: artists, dreamers, visionaries and anyone who is forgetful, drowsy or ungrounded. 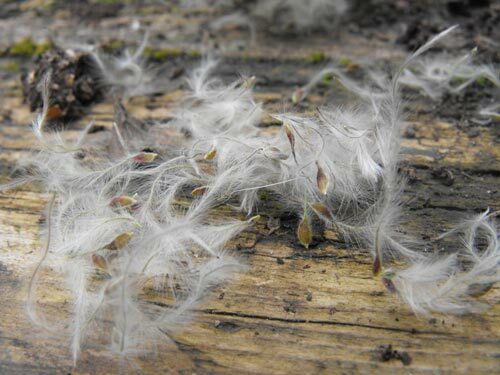 Dr Bach said that the ‘feathery seeds are always longing to be blown away and start again’*. As clematis flower remedy is taken, it helps to bring you back down to earth with greater focus. The seeds are eaten by birds including goldfinch and greenfinch, while many others use the fluffy seedheads as nesting material. The scented flowers are a good nectar source for night-flying moths, as well as day-flying hoverflies and bees. Small Emerald and Pretty Chalk Carpet Moth caterpillars feed on the foliage.